The No. 17-ranked Georgia men’s tennis team — forced to shuffle its lineup due to an injury to usual No. 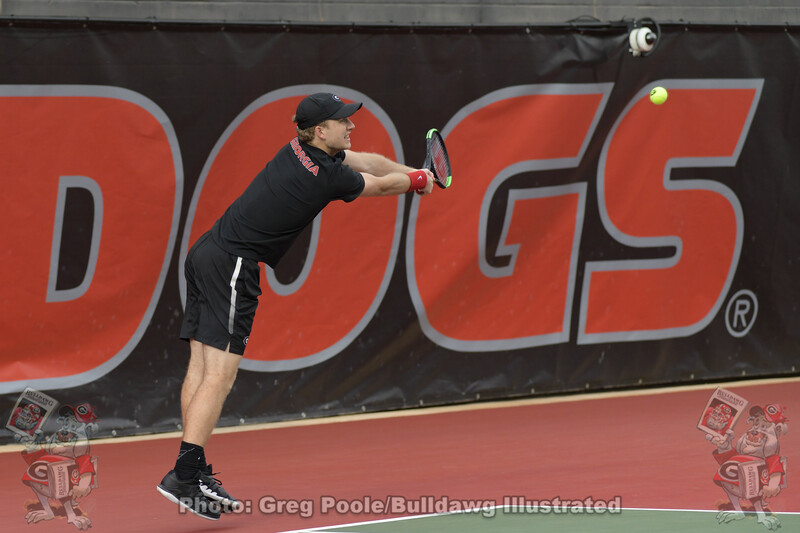 1 singles and doubles player Jan Zielinski — defeated the 30th-ranked Vanderbilt Commodores on Sunday at the Currey Tennis Center. With Zielinski out due to an injury he sustained in Friday’s match against Kentucky, Walker Duncan and Emil Reinberg moved to No. 1 doubles and three freshmen — Trent Bryde, Philip Henning and Blake Croyder — all saw action in singles. Redshirt-sophomore Alex Diaz moved to the No. 2 doubles court with Robert Loeb. 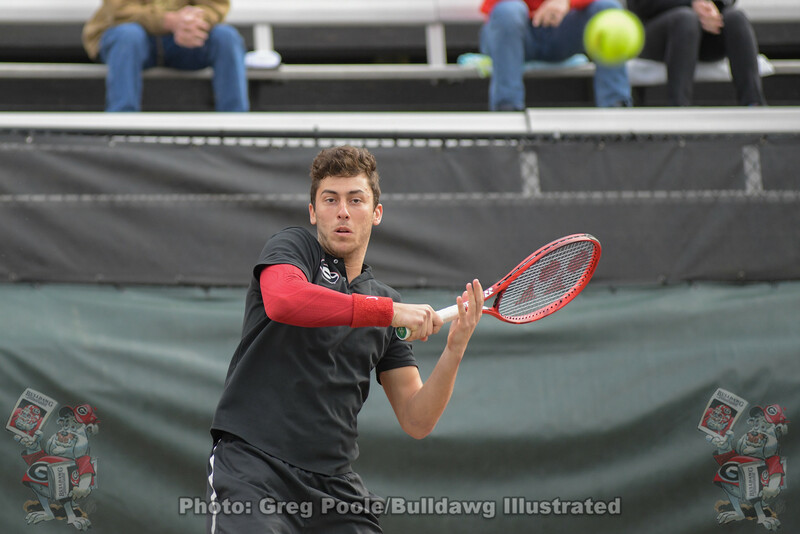 The Bulldogs looked strong from the start and ran past the Commodores to finish the regular season with a 12-9 overall record and 7-5 mark in the Southeastern Conference. The SEC will announce seeding for the league tournament later this evening. In doubles, Bryde and Henning went down a break 2-0 in the early going and never recovered in a 6-2 loss. Diaz and Loeb played together for the first time since Feb. 26 and improved their record to 5-1 with a 6-4 victory. Finally, Duncan and Reinberg delivered the clincher in doubles with a 6-4 win at court one. In singles, the Commodores picked up their first point of the day with George Harwell’s 6-2, 6-2 victory against Bryde at court five. Georgia quickly answered back as Reinberg ousted No. 74-ranked Cameron Klinger, 6-3, 6-1. With the Bulldogs hanging on to a 2-1 lead, all three of the lower courts went into three sets. 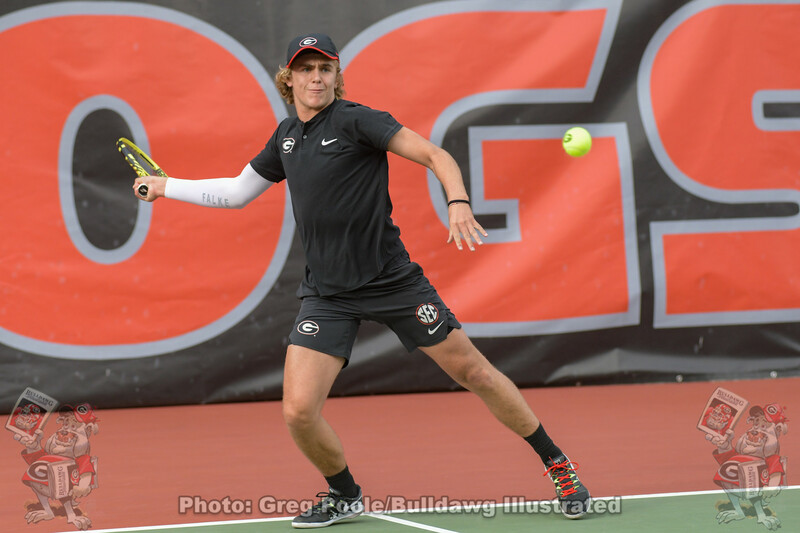 Georgia was clutch down the stretch with wins from Duncan at four and Henning at five to clinch the match. Duncan’s win came after a first-set loss, while Henning’s clincher came after he bounced back from a 6-2 defeat in the second frame with a 6-2 triumph in the third set. Next up, the Bulldogs will travel to the SEC tournament in Gainesville, Florida. Georgia’s match time for Thursday will be announced later Sunday evening.